A new event is on it’s way; a new edition of JOINN! 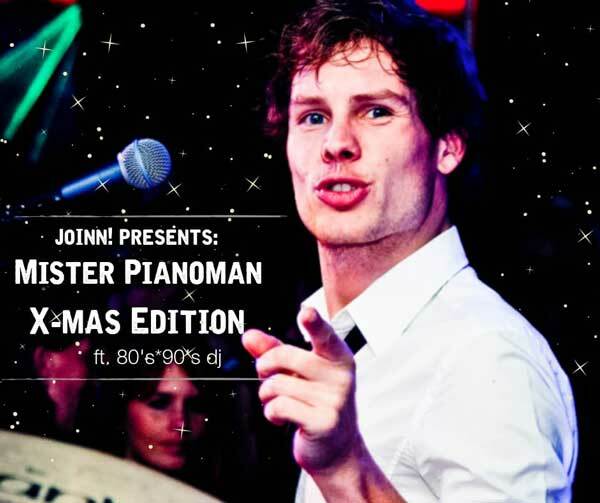 's Mister Pianoman. This time with a special theme: The X-max Edition! So put on your bad Christmas sweater, reserve your table for a nice dinner and request your own (Christmas) songs at our singing pianist. Maybe he will be play and sing live for you. Invite your friends, family and colleagues and step into the Christmas mood! The team of JOINN! wishes you a nice and pleasant evening!